Baby Mama: Do I Want These? I want some. 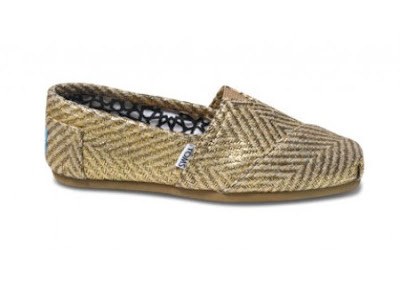 I showed my students the CNBC Show about TOMS and all of my students want them now too. I know I am going to sound old and so uncool, but those look like they lack arch support. I don't know about yours, but my geriatric feet need to feel loved. i have a gray pair, but swapped them for a fancy & pretty shirt with my friend meghann who is in ny. now i miss them sooo much and want to go buy another pair. she got the better end of that deal. and mrs. e - they are provide more support than you'd think. super comfs and easy to wear. i go on long walks with the babe in them.